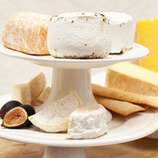 Sardinia is known for its sheep's milk cheeses, but Pantaleo is a unique and rare goat's milk cheese that also hails from the mysterious Italian island. 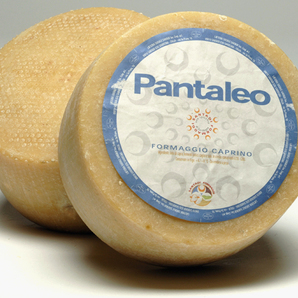 Ivory in color with a thin, natural rind, Pantaleo has flavors of herbs with hints of lemon and lime in the finish. 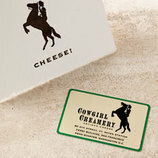 Aged a minimum of 100 days, the cheese has a firm, almost dry paste that makes it perfect for shaving over salads. 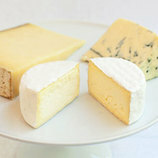 Its unique flavors also make it a nice addition to a cheese plate, alongside a glass of unoaked Chardonnay or a dry sherry. 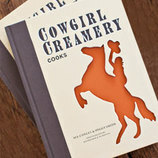 Farm / Company: Latteria Sociale Santadi/Forever Cheese Co.